: : found that first picture on the top left on a new blog .ellmania. that .emma. directed me to. 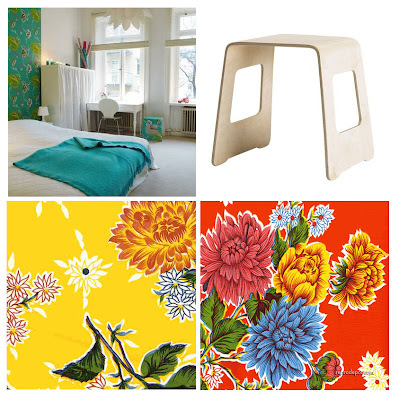 if you can see that little stool in the photo, I think it's this ikea stool covered in an oil cloth fabric. I have a green version of that fabric at home. maybe the perfect application for it would be on a stool? maybe suitable for the porch? easy to wipe off.